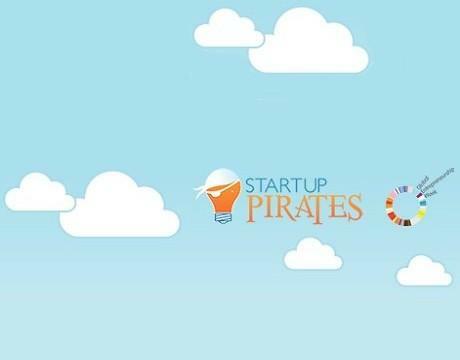 The Global Entrepreneurship Week is on and Startup Pirates will be part of this celebration, running 3 initiatives from today to the 24th November. A set of informal meetups in several cities. This is the place where the pirates will meet and non-pirates can join the community and understand what Startup Pirates is all about. The Pirate Drinks will anchor in Coimbra, Gdansk, Lahore, Lisbon, Porto, Vigo and Zaragoza. Startup Pirates celebrate their startups by voting for them in a competition to elect the Almighty Pirate Startup. You can participate by voting your favorite pirate startup. The winner will receive 2 places on the next Startup Tour Berlin worthing 1.000 euros and the title of The Almighty Pirate Startup Award. Startup Pirates has been to many cities and there are much more to come. Now they’re wondering which local organizing team has been able to create and keep the strongest pirate community. It’s up to the rest of the Pirates to decide, voting for their favorite. The Almighty Pirate Community will receive the title, a surprise box from Startup Pirates and Brad Feld’s book “Startup Communities”. University of California invests $250M in startups!